Not sure if you're still looking for these or not... most TJM fitting instructions are available online with the right google search. Thanks mate. No need anymore, ended up just forking out the cash for them to do it. Please sir wash your mouth out with soap !! ......as you can see , my very feminine MQ clubcab, which sports a most masculine GITSHAM ultimate alloy street sweeper bullbar is quite offended by your remarks. Photo coming soon. Yeah after I fitted mine myself I was pretty happy with the result but asked myself the question whether it was worth the blood (yes there was a nominal amount spilt), sweat and swearing... (no tears... I drive a triton). Anyone know if an Ironman commercial bar for an MN will fit an ML OK ? Has anyone had any experiences with the MCC bullbars? Looking at getting one as they are a fair bit cheaper than the bigger companies. TheSheepKed wrote: Has anyone had any experiences with the MCC bullbars? Not that I condone intellectual property theft (if that's what's going on here) ... but there appears to be a mob in Melbourne, PS 4x4, who have a range of bullbars that look almost identical to some of the MCC stuff, but even cheaper. In addition to this, the listings for official MCC items on eBay indicate 'Genuine MCC' items and not to settle for inferior products. I'm guessing they're referring to these PS 4x4 units. I'd love to know the whole story. In some cases like this, the items come from the same factory. Otherwise it seems like a whole lot of effort to make something look exavtly like something else in this case. Designer fashion accessories, I can understand the effort. But bullbars? I like the look of the MCC Jack Rear bar for Tritons. Both options. Thanks for the heads up. I suspect that a lot of companies do the whole OEM thing - source from one factory and rebadge it as their own. Happens in every industry you can think of. From music instruments to pairs of jeans. 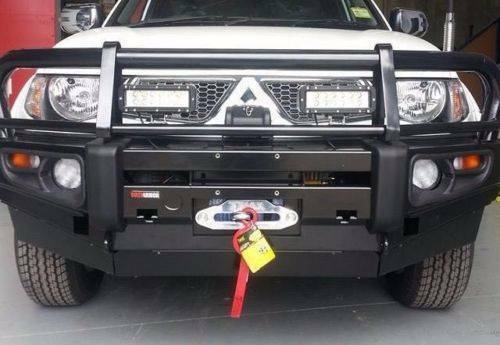 Do you happen to know if PS4x4 make bullbars for the MN Triton? 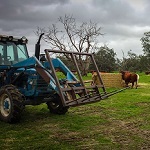 Could only find a bullbar for MQ on their website. 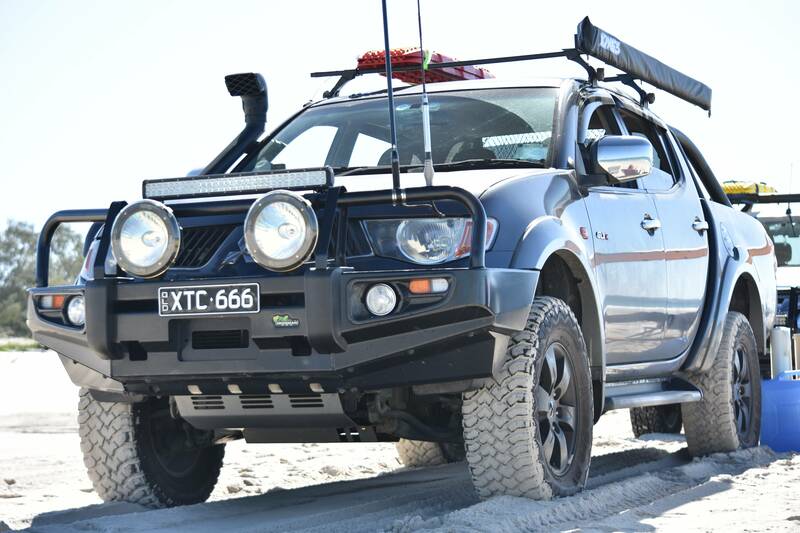 $999 for the MQ bullbar is incredibly cheap and looks as good as the MCC stuff. Cheers for the input Joel. Any reason why you chose ironman over MCC if you knew they were the same thing? Also, how's the weight on the bar? Affect your driving and suspensions much? At the Melb. 4x4 show a few years back I was speaking to one of the staff at the MCC stand and she indicated that they actually manufactured most of the various bars that vendors were presenting at the show. As with nearly everything, economy of scale will create the situation where some entity takes on producing a core product on mass and then other vendors will have alterations for their specs. White goods are the ultimate example of this. RHKTriton wrote: At the Melb. 4x4 show a few years back I was speaking to one of the staff at the MCC stand and she indicated that they actually manufactured most of the various bars that vendors were presenting at the show. I guess they can't be half bad if a few companies are using them. I haven't heard anything bad about other companies except to do with customer service and their fitting. As for the products itself, the MCC stuff looks good and seems like a much cheaper option compared to the bigger brands like ARB. Will post photos of I go ahead with it. Just a heads up, PS4x4 have released an MN Triton bullbar online. It's undeniably cheap. I'm not sure about quality though. 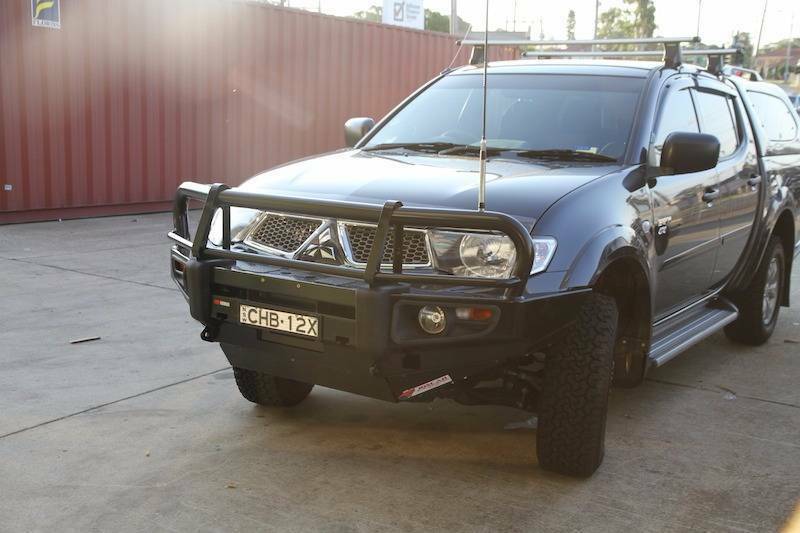 Can anyone help confirm for me as to whether they also think that these plates on the side of this bullbar sit really low? I've been looking at a variety of bullbars and this company has come up with the best deal. Not many photos available but from what I can see, the plates hang low but not sure if that's normal? Take the side plates off if you don't like the look. 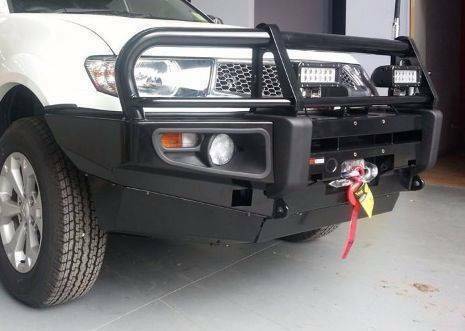 They are there to make bullbar legal if a suspension lift is fitted. What about the bottle that sits under the passenger side? 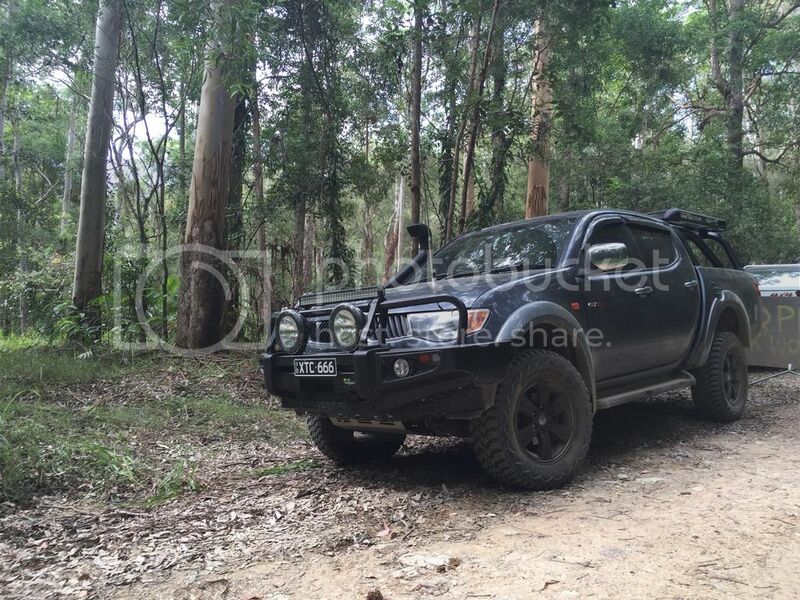 How is the bullbar not legal if you lift the vehicle ? if the truck is lifted it exposes more of the front face of the wheel. There is a limit to how much your wheel is allowed to be exposed, hence the plates. Last edited by Maxiy on Tue Aug 08, 2017 3:29 pm, edited 2 times in total. Use a bag like xrox comes with, a smaller bottle from auto shop or modify current bottle. Is that just the windscreen washer bottle? Might have to move mine, take off the flaps and see what she looks like. Mine is an Ironman Commercial Deluxe. The side flaps don't look as big and low as yours....Maybe it was the angle of the pic though? Last edited by kouta666 on Tue Aug 08, 2017 7:12 pm, edited 1 time in total. kouta666 wrote: Is that just the windscreen washer bottle? Might have to move mine, take off the flaps and see what she looks like. Mine is an Ironman Commercial Deluxe. The side flaps don't look as big and low as yours....Maybe it was the angle of the pic though? Yeah I'm referring to the windscreen washer bottle. Your picture doesn't work - use imgur instead. I haven't purchased the bar because the side flaps and especially the centre one looks incredibly large. I want to think it's the angle but I can't say for sure. $1050 for the bar, spotties, fog lights and under protection is a bloody good deal. But not when I lose some clearance. Thanks for the tip on Imgur. I've updated the image. Been using photobucket for years. It was getting slow though. kouta666 wrote: Thanks for the tip on Imgur. I've updated the image. Been using photobucket for years. It was getting slow though. That's a nice rig. Whoever installed the bullbar did a good job. Your side protections definitely don't look as low as the ones that I put up before. I think I might have to go for the MCC bars. They look nicer too. Thanks mate. Bought and installed at Fourby's in Brisbane. I have an xrox bar and have the bladder style windscreen washer, hooks on the back side of the battery tray.